It’s not a secret that I have a “thing” for granola bars. 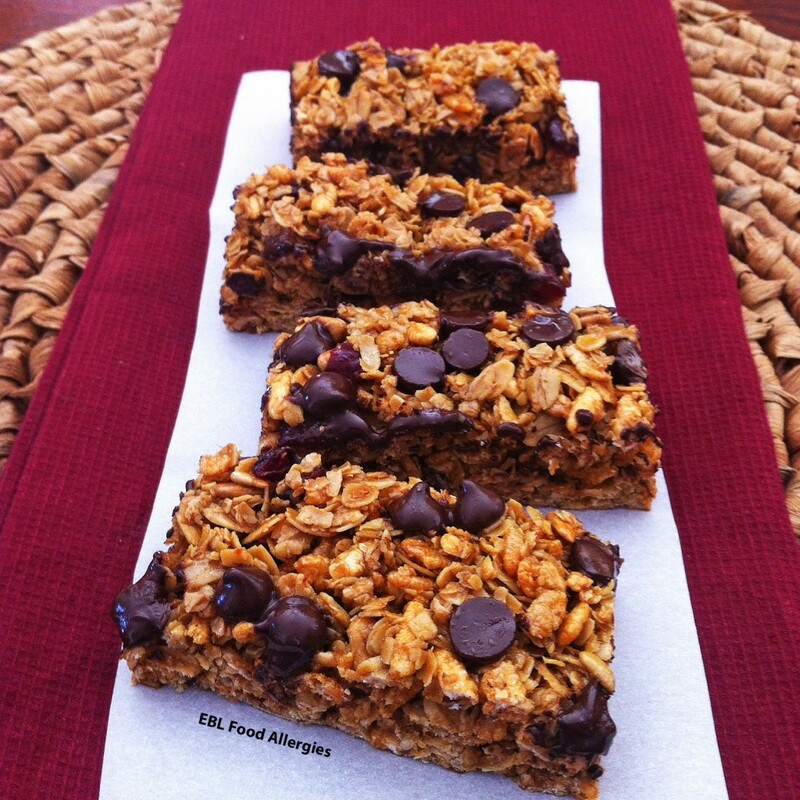 Ever since I made my first batch of Super Awesome Granola Bars, I have been hooked! It’s the perfect afternoon snack with a cup of tea and is even better when you need to grab something simple for the road. I prefer my granola bars to be nice and chewy, something that won’t fall apart when you bite into it. For this recipe I decreased the amount of sugar by half and it was still plenty sweet enough and still chewy. I also decided to use dark chocolate (and not much of it) because it compliments the sweetness of the honey and molasses. This snack is definitely one that your child won’t mind having packed in their lunchbox! 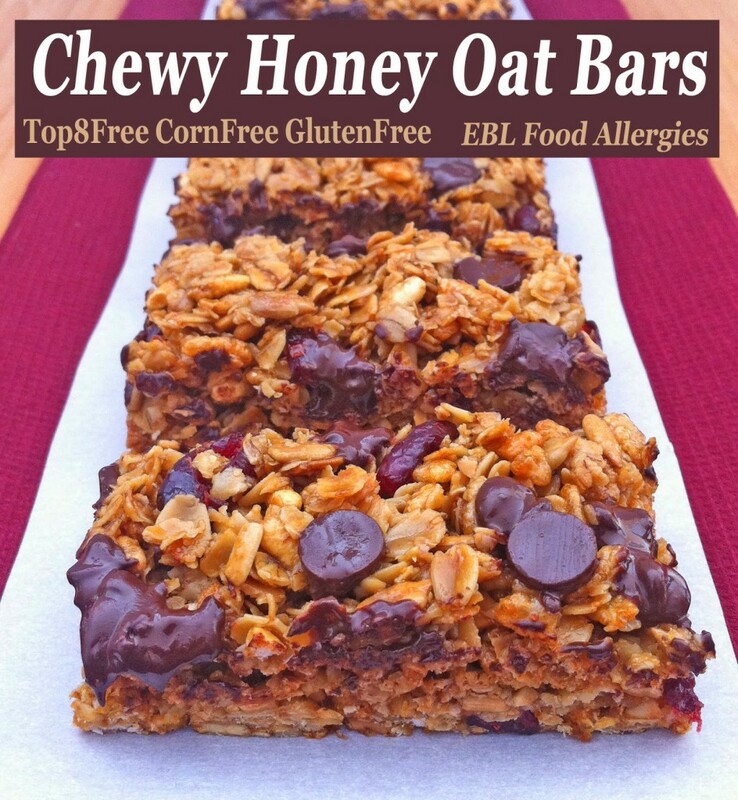 A delicious chewy granola bar, perfect for snacking on morning, noon, or night. In a large bowl, mix oats, oil, and salt. Empty contents onto 2 foil lined cookie sheets and bake for 20 minutes. In a small saucepan add sugar, honey, agave nectar, and molasses over medium heat, stirring frequently, until bubbles form. Remove from heat and add vanilla. Empty the oat mix, the honey mix, and the remaining ingredients (except for the chocolate) into the same large bowl and stir until even coated. Cook for 15-20 minutes. Allow the granola bars to cool completely before cutting. Are you looking for an allergy-friendly chocolate to use in your baking? I used Enjoy Life Foods dark chocolate morsels for this recipe. Their products are gluten-free and free of the top 8 allergens: dairy, soy, egg, peanut, tree nut, wheat, fish, and shellfish. 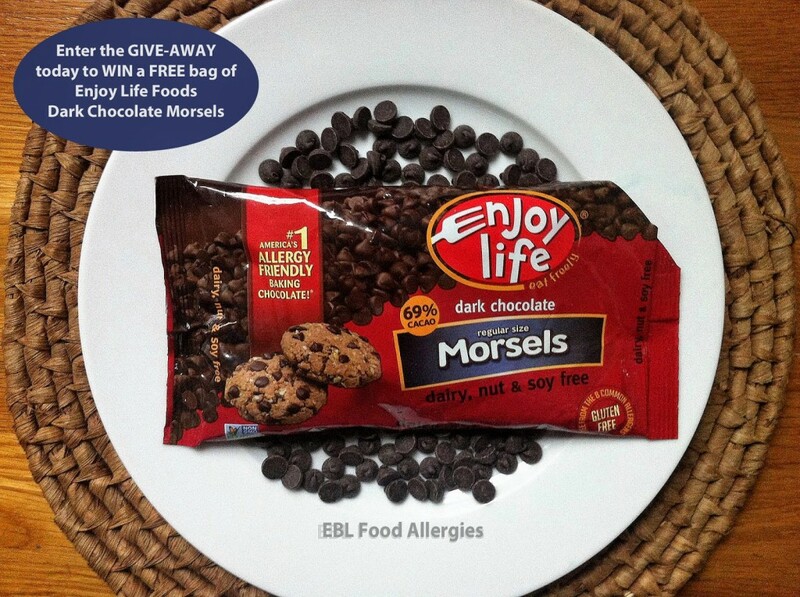 Click here for a 55 cent coupon off Enjoy Life Foods product AND enter the give-away below for your chance to WIN one free bag of their Dark Chocolate Morsels. My boys LOVE anything Enjoy Life, especially the dark chocolate chocolate bars!! We haven't been able to find these in any of our grocery stores just yet so it would be a great treat to win. Thanks for giving us a chance! These look soooo incredibly yummy. I read your blog and then sigh that I am not your neighbor. Then I see you riding bikes and tearing up the physical thing and get scared! I think your kids are the luckiest! They look delicious. I'm a granola bar fan too. 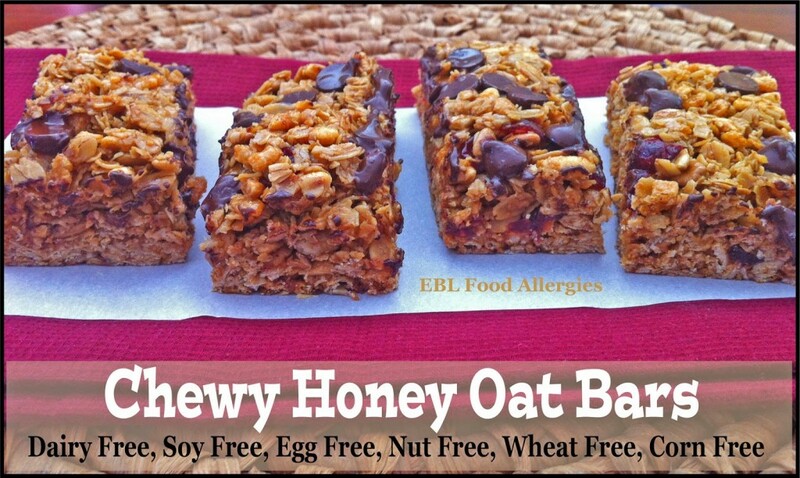 We've got allergies and eczema in the family and I'm sure everyone will appreciate this recipe! Those granola bars look really yummy! I just wish I wasn't allergic to peanuts. I think I got it from my mom because she is allergic, too. Woow this is something i'm definitely going to make for my family. I was bit curious about 1 tsp salt. But i'm gonna do it anyway. Thanks a lot for sharing.